The RELEM Young Lasallian Council (RYLC) has met at the Lasallian headquarters in Rome between Friday 10th to Sunday 12th March, 2017. Br. Bob Schaefer, Secretary for Formation for Mission, and Mr. Keane Palatino, Secretary for Association, supported the Council during this meeting. The Council would like to thank Mr. Lorenzo Cutore and Mrs. Cristina Cosa for their service on the RYLC and welcomed Ms.Claudia Dimiscã as she joined the team. The RYLC agenda included the final preparations for the international course for young Lasallian professionals to be held at La Salle Pastoral Centre in Castletown in Ireland between 2nd to 9th August, 2017. This programme’s focus is Lasallian Spirituality in the 21st Century: One Call, Many Voices. 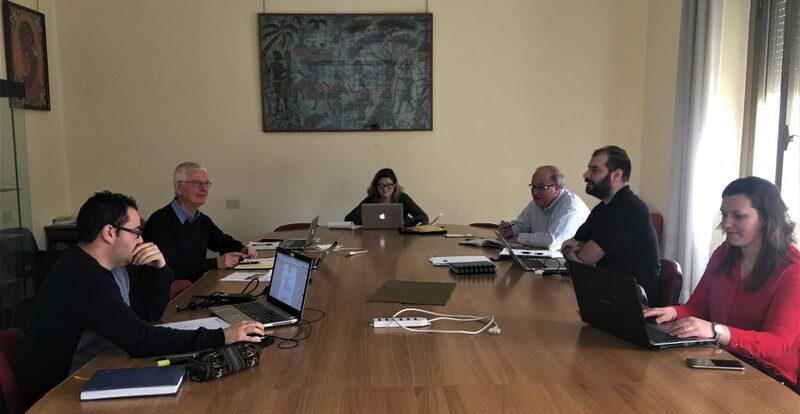 The Council has also worked on the development of the formation programme for summer 2018 that will focus on the theme of the year, Lasallian without Limits, and possible initiatives for Lasallian Year of Vocations in summer 2019. During this meeting, the RYLC also looked into strategies to strengthen its participation and support for the projects and initiatives of the International Young Lasallian Council (ICYL), especially the International Lasallian Days for Peace for 2017. This was also the first opportunity for the RELEM Young Lasallian Council to start reflecting on the Synod on Youth and the ways in which it might contribute to the Institute’s reflection on this important topic.